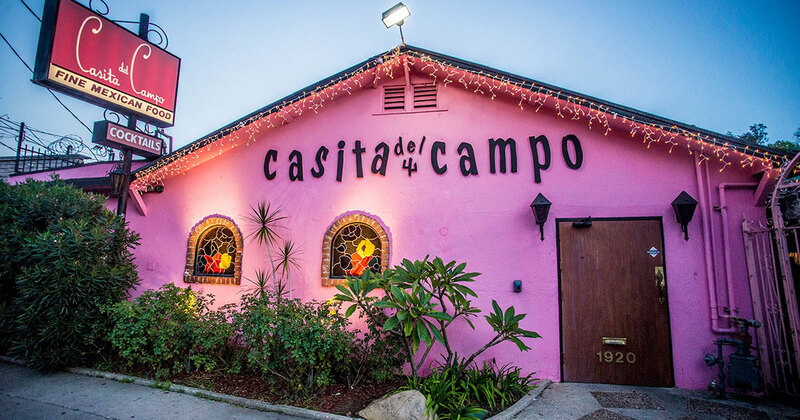 What you need to drink from Castell's winter menu. “The Martini is the only American invention as perfect as a sonnet.” This H.L Mencken quote printed within Castell’s cocktail menu speaks to the aspired perfection this establishment has brought to it’s revamped winter menu. 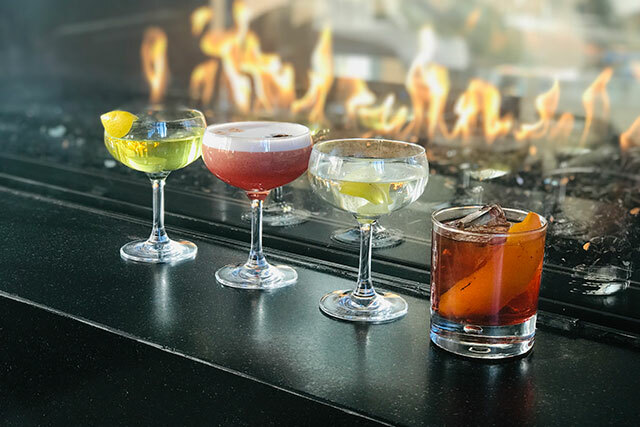 The rooftop bar may seem like a summer outing, but Castell embraces the chilly season with some warm cocktails and fire. The fire I’m referring to is not a flaming cocktail, but actually the ultra-modern fireplace towards the front of the venue. The space has a high end feel but manages to insert hygge elements in the layout and decor with billowing couches and natural elements like the marble-faced bar and wood framed seating around the outskirts of the enclosed roof area. 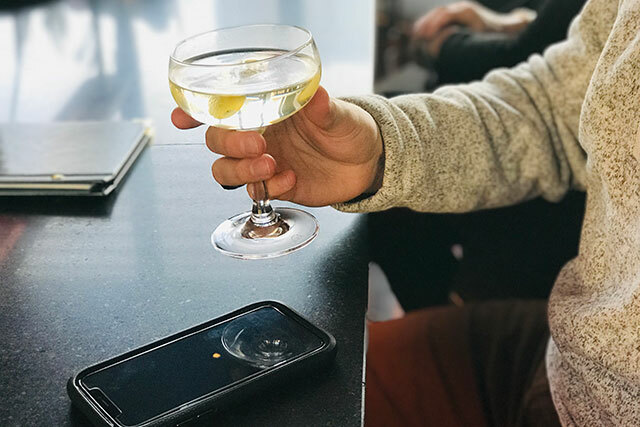 Of the six martini options on the menu, the dirty martini has the most distinction. The vodka is washed in olive fat and additionally served with Manzanilla olives. While this may seem like olive overkill the drink manages to balance with quality ingredients vigorously shaken melding it all into a velvety concoction as a result of the oils from the olives. 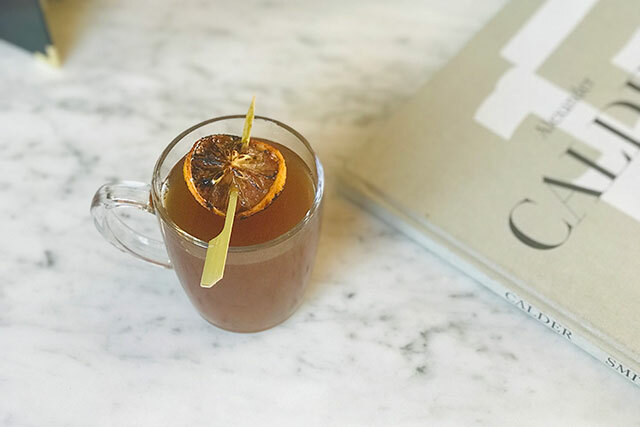 Their warm cocktail, aptly named Sweater Weather, is akin to a spiced cider with some additional ingredients to spice and fancy it up. The Allspice Dram is noticeable and delicious, with Torres 10 yr brandy and Demerara rum mixed with Black Dirt Apple Jack and spiced cider. This drink goes down smoothly and tastes innocent while delivery a hefty amount of not so innocent spirits. As is the trend currently to add new spins to classic cocktails, Castell offers a notable Earl Grey Negroni in which the cardamom in pleasantly present among the other classic Negroni bitters. This drink sits within the Stirred section of the menu which is broken out by drink style and then given a playful subtitle to allow the patron to get a richer insight of what they can expect. For example, the Stirred sections subtitle is, A Little More Serious. Regardless of if you are feeling serious or silly, Castell is a good stop for a stiff drink and a view. Todd Strickman is a NYC area native who has always enjoyed a good night out on the town. After many years of sales, marketing, and partying he applied to a job at an editorial assistant role at a lifestyle publication with very few writing samples. Todd started writing down his highlights from nightlife and putting them into his own website, The Brim. Today Todd enjoys working with the Thirsty team covering highlights around the NYC nightlife arena.